Gaming Juggernaut Valve are back with their newest offering: The Lab! With classic titles such as Half-Life, Portal, Counter-Strike and Team Fortress 2 under their belt, you know what to expect from this developer by now and The Lab definitely lives up to the hype. 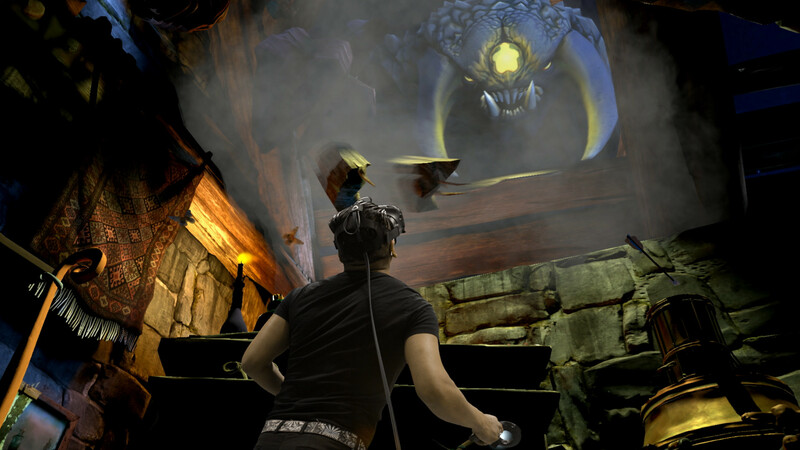 Fully utilising the full power of the HTC Vive and VR technology, The Lab transports players to a variety of worlds where they will defend their castle from invading hoards of enemies, explore the depths of space, take a vacation to the Icelandic mountains, and so much more! Variety is certainly the spice of life and The Lab truly has something for everyone. Full of the nods to Valve's iconic library of games and Aperture Labs references for the fans, The Lab provides a perfect balance of easy to pick up and play experiences. The beauty of The Lab lies in its simplicity, this is a game that can be enjoyed by all audiences whether it is your first time visiting us or your tenth time. When you next drop by Virtual Hideout, be sure to ask your VR host about our leaderboard system. Can you top the charts?